Travelpotato.com |Goa Dudhsagar Waterfall Package Best of Europe!! Curated especially for you!! Welcome to GOA ! 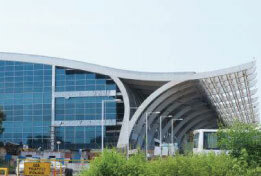 Arrival Dabolim International Airport. Transfer to hotel. 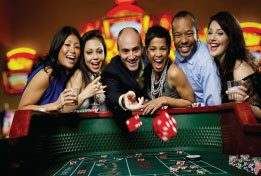 Casino entry in the evening where you can enjoy scrumptious unlimited dinner. 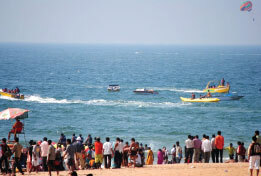 Full day sight seeing in North Goa including famous beaches of Goa. 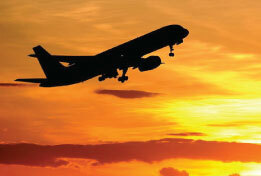 A chance to visit Calangute, Baga, Candolim and many more. Full day sight seeing South Goa including visit to Basillica of Bom Jesus (Old Goa), Mangashi Temple, Miramar beach, Dona Paula Jetty, etc. 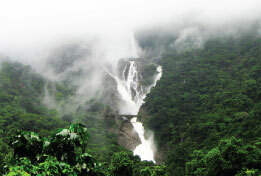 Dudhsagar Waterfall Trip with spice plantation followed by lunch (depends on weather condition) or Palolem Beach Trip. The sun and the sands defines Goa. No other destination can compete with the “Pearl of the Orient” in terms of natural beauty and tranquil beaches that collaboratively provide you with an out of the world holiday experience. Frequently known as “Queen of the Beaches”, Goa is located on the western coast of India, surrounded by Maharashtra in the north, Karnataka in the east and south, and the Arabian Sea in the west. Palm coconut-fringed beaches, white sands, crashing sea waves, beautiful Sahyadri Hills and a number of water sports and other adventurous activities make it a perfect destination for memorable holidays. Tourists from the world over visit this place frequently for water-sport activities and to try out the exotic sea food and Portuguese specialties. Goan beaches are categorized into Crowded Beaches, Party Beaches, Adventure Beaches and Isolated Beaches serving every kind of whim. But Goa is much more than just beaches and sea. It attracts tourists for its traditional cultures, unique history and some of the most beautiful natural sceneries that India has to offer. 1 Full day South Goa Sightseeing with 1 hr Mandovi Boat Cruise. 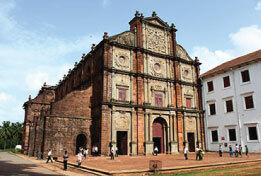 1 Full day North Goa Sightseeing by Pvt. Car. Ticket to Snow Park, Baga (without transfer). Entry to Deltin Jaqk casino with unlimited liquor, food along with one time play coupons worth Rs. 500/-. 3-star hotel accommodation on twin sharing basis. Blackout dates 14th - 16th April,13th - 15th Aug, 30th Sep to 2nd Oct, 25th Dec and 31st Dec.
Prices may vary as per actual booking date. 5% GST extra on total package cost. For more details please contact us on +91-8390788990 or email us at info@travelpotato.com and we will be happy to help you plan your upcoming vacation.